In 2002 Indiana went 11-5 in the Big Ten and finished in a four-way tie for the Big Ten championship. IU then split a pair of games in the Big Ten Tournament. But when the Hoosier entered the Big Dance, they shocked the college basketball world. Entering as a No. 5 seed in the NCAA Tournament, they won five games in a row to advance to the national championship game against Maryland. Along the way, IU went toe-to-toe with three of the top four teams in the nation. IU beat No. 1 Duke in Lexington in the Sweet 16 and No. 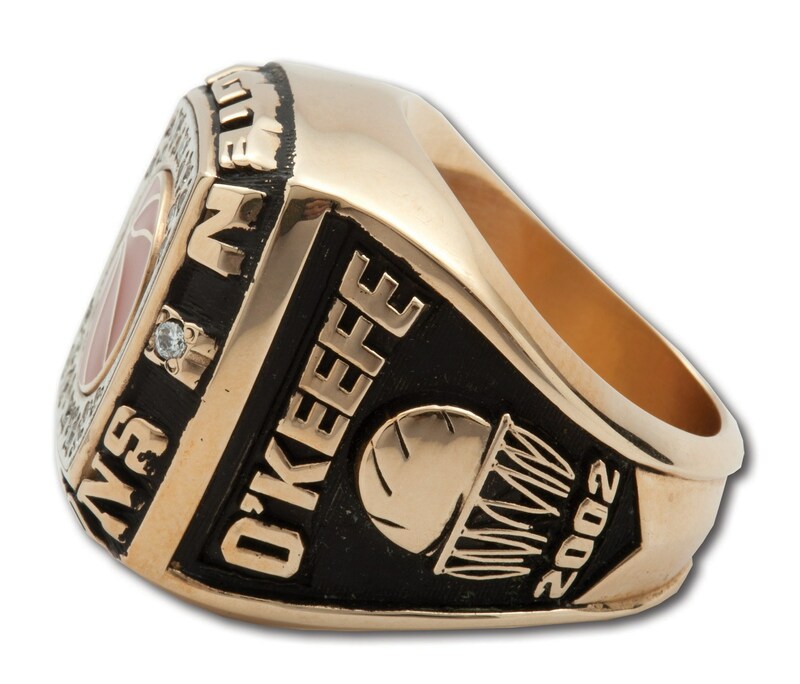 3 Oklahoma in the Final Four, and lost to the No. 4 Terrapins in the championship game. Duke and Maryland were both No. 1 seeds in the tournament. The Sooners were a No. 2 seed. The Hoosiers might have lost to Maryland 64-52 in the title game, but they earned the respect of the college basketball world that season. 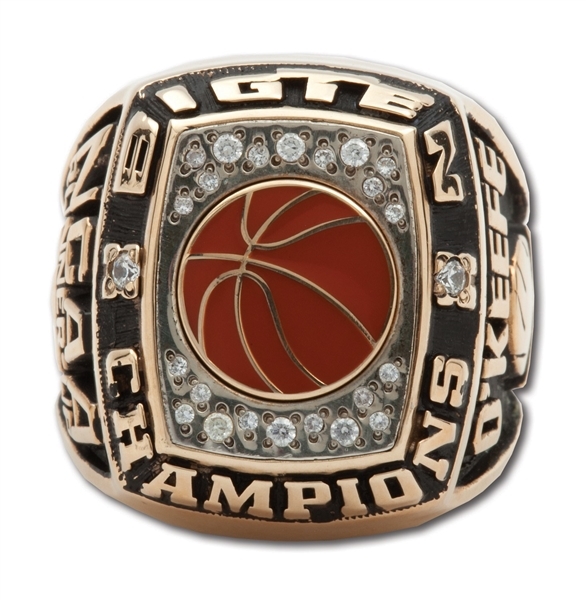 Presented here is a 2002 Indiana Hoosiers Big Ten Championship Ring that was presented to a staff member. 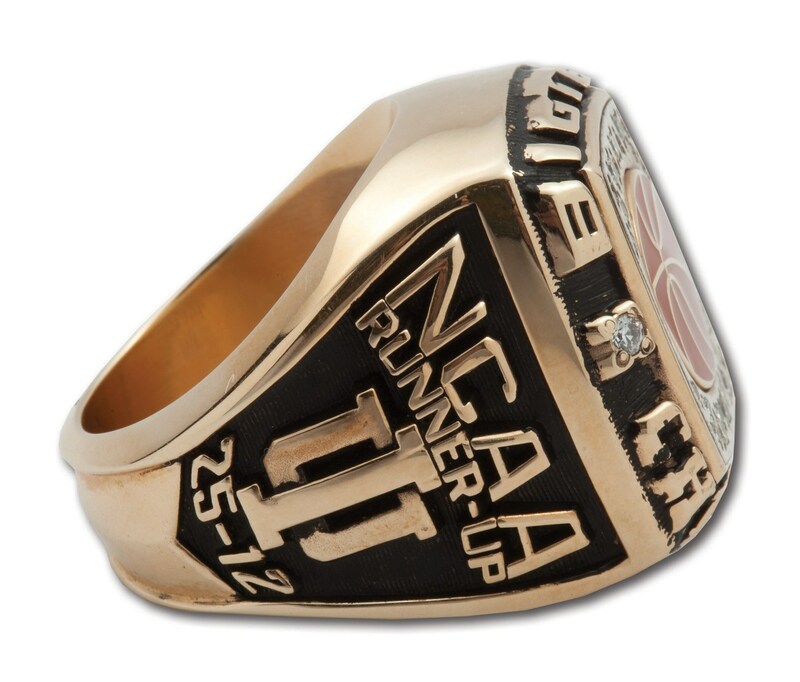 The 10k gold ring was produced by Jostens and features “10K” stamping inside the band. 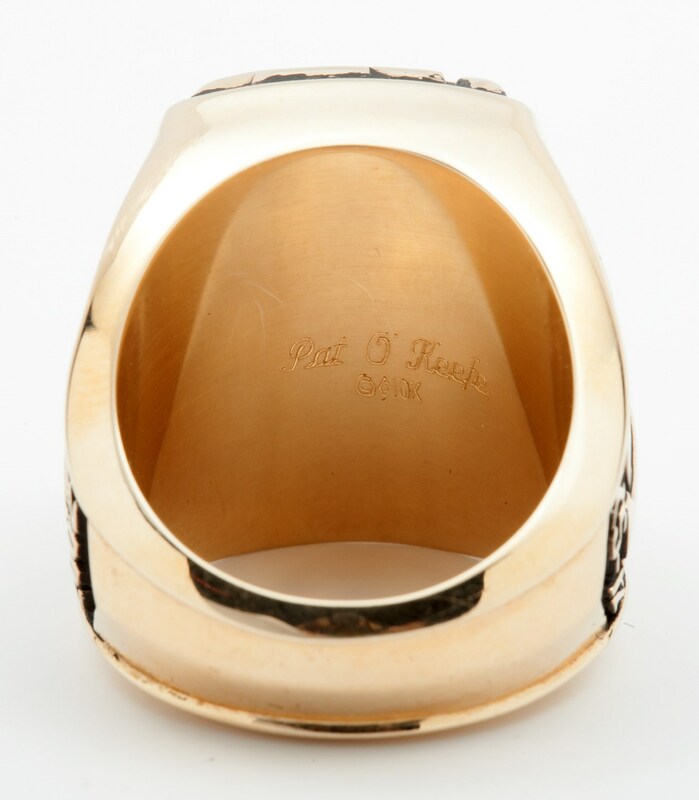 The ring shows almost no wear and is housed in its original presentation box. Ring size: 10.5.